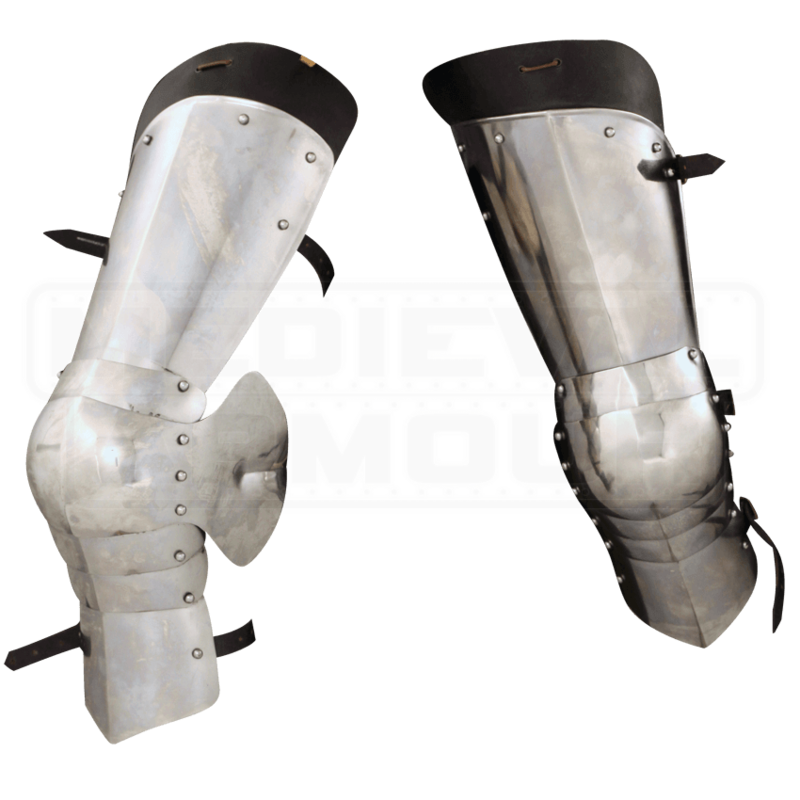 If you plan on putting together your own suit of armor, this Knights Plated Leg Protection is a good way to go as far as keeping your legs safe. And not only does it offer good defense, but it also opens a world of versatility for your armored look, too. 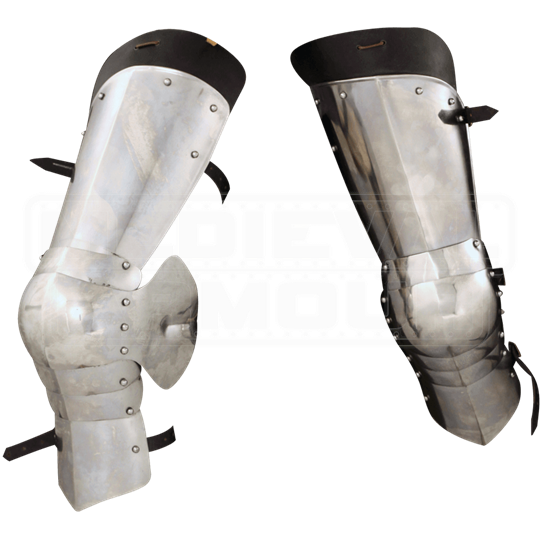 With these steel plate arm guards, you can easily vary and change your look, adding and subtracting pieces from your armored appearance to change it subtly with every rendition! These plated limb protectors are crafted entirely from mild steel, in one of two different gauges. The 18 gauge version is lighter and better suited for LARPing, costuming, and light reenactment, while the 16 gauge version is a heavier, thicker metal that is made for combat and reenactment, making it suitable for SCA events too. This armor set consists of a pair of pieces, which feature connected greaves, poleyns, and cuisses, which offers protection for the upper and lower leg, as well as the knee. The armor is also articulated, to ensure the full range of movement when worn, too. They come complete with leather straps and buckles, too, for securing the plates onto your lower limbs for easy wearing. They are offered as a matched set. This Knights Plated Leg Protection is a good way to go for those who want to pick and choose what pieces of plate armor they want to wear, as well as hardy protection for any warrior to wear in the midst of combat, be it friendly LARP or authentic reenactment.